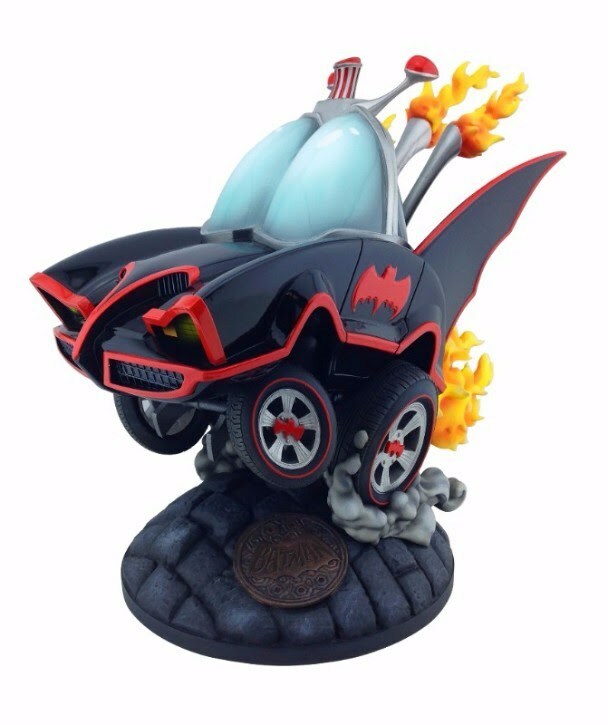 The Batman Classic TV Series Batmobile Statue is based on the Batmobile designed by George Barris and used in the classic 1966 – 1968 Batman TV Series. The Batmobile statue is hand-painted and stands approximately 9 inches tall. It was designed by Dennis Jones and sculpted by Stephan Ehl. The suggested retail price is $125. Cryptozoic Entertainment is a leading developer and publisher of original board games, trading cards, and collectibles, including: The Walking Dead board game, The Big Bang Theory: the party game, and Ghostbusters. For more information, please visit: www.cryptozoic.com.